The child in you enjoy all moments. You enjoy anything under the sun like the rain droplets from the sky, the rising sun, and the cool moon. The chirping birds, the rattling auto, and the sound of the thunder and brightness of the lightning awes, all children here in this world. As you enjoy every inch in life, you step into the learning process to face this world. When your papa and mummy take you to the play school, remember the day’s tears drop out from the eyes. A sense of fear engulfs the self, as the new environment to a place away from the sweet home. It makes you angry with your sweet mom, selfless papa, loving grand papa and gleeful granny. Later, in life, you child, you will realize that they are introducing to someone who is a mix of the qualities of all your parents, grand pa and grand mom. Yes, it is your friend, the loving friend. The teacher holds your hand, as you try to wriggle and reach back to them. The cries of other children make you cry louder. When all the din end, and all your dear and near ones are away from the sight. The child next near you murmurs, and asks your name; share the cookies in the recess, the feel that follows never ends in your life. Yes, the friend near you knows the appetite in you and shares all with him or her that includes their selfless self. Let us take you a journey for the need for a friend to be in love forever. Friendships, it is sure is in full bloom in your life. As you grow, many things are in lives that are for share to each other, like something with your parents and something to your grandparents. Friends are whom there is rarely anything that cannot be shared. Is it true you child, have you felt this? Everything under the sun, anything that ache your heart, share to your friends and make the life lighter and happy. Remember, relationships get into your life without your wish are many, as they are God given, your Mom, Papa and of course Grand pa, Granny, Uncle and cousin. The one relationship that is for to choose and can be endured for life is friendship. The ship that never sinks in life is friend ship. The climax of any story that you have heard from your parents, grandparents, or teacher ends in a climax and a happy end. Here also, there is a climax and successful conclusion in this friendship story. Friend who boosts you when you are low in moods and keep you aware, as you misbehave is a quality that makes your friend great. A bad apple in a box makes all apples in the box to rot. So, be aware of it to your friend and make him or her to change him or herself from bad behavior. Otherwise, change yourself to a good friend rather than to suffer for life. The beauty you will see her is the friend you advise will certainly change and be with you for life. ← How Positive Mind Can Ensure Better Health? How Positive Mind Can Ensure Better Health? 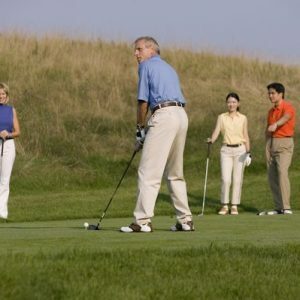 How Golfers Can Achieve the Lowest Score Possible? How To Build Your Own Dream Motorcycle From Scratch?